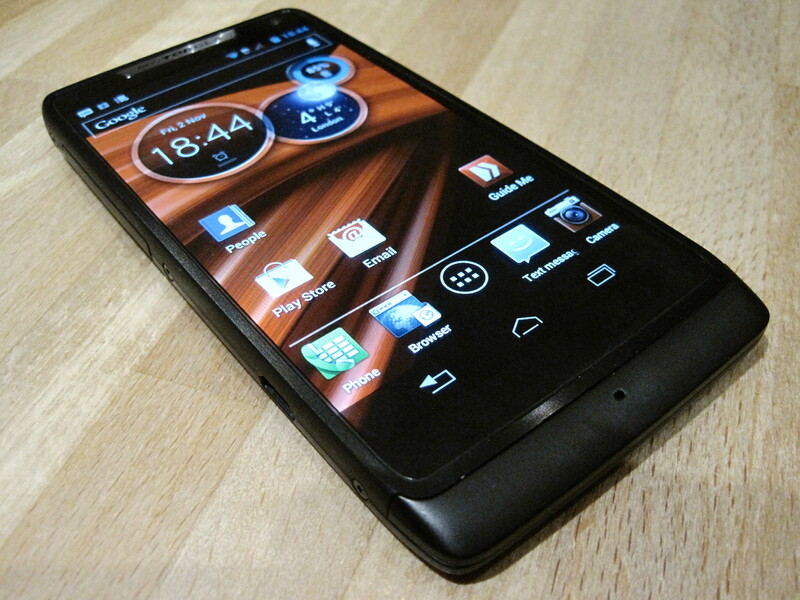 The Motorola Razr i is a mid-range 3G Android smartphone that packs a punch, thanks to a powerful Intel Atom chip. Folk tired of oversized-phones will love its compact iPhone 4/4S-sized form, and marvel at how Moto has managed to cram in a roomy 4.3 inch display. The catch is the Razr i is not available in the U.S. — so this gift is for Android lovers in select European and Latin American markets. … not just another mid-range Android phone: It stands out from the ‘droidy crowd thanks to an Intel Atom x86 chipset under its hood — rated at up to 2GHz. 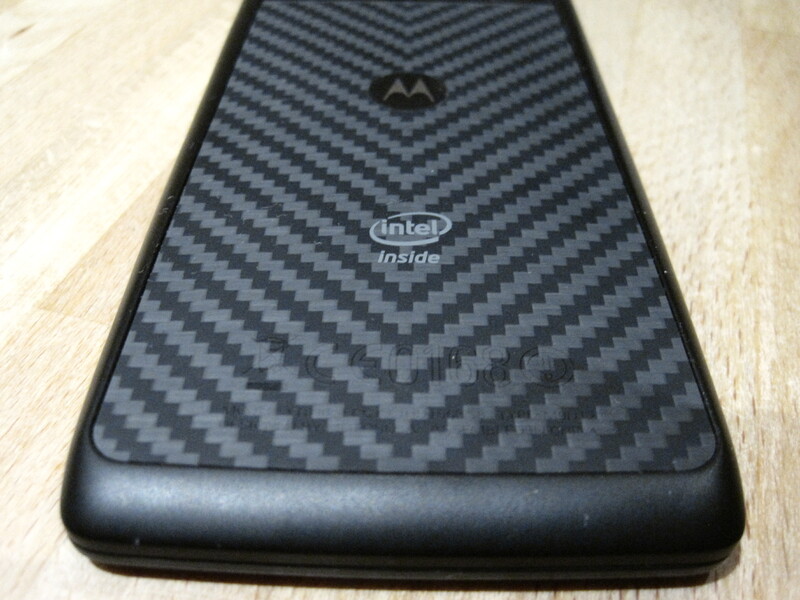 So despite only having a single-core chip, the Razr i holds its own in the performance stakes. Indeed, it typically punches well above its mid-range weight — leaving a trail of sluggish mid-range ‘droids in its wake. Nippy performance is a consolation prize for the Razr i’s lack of 4G. In the looks department, Motorola has cooked up a treat with a slender, stylish, pocket-friendly design — adding serious wow factor with what at first glance appears to be a truly edge-to-edge screen. In truth there are a few millimeters of bezel but they’re easy to miss as you’re dazzled by the Super AMOLED brilliance. On the software side, the Razr i is not (yet) running the very latest version of Android but is upgradeable to Jelly Bean. In the meantime, Android 4.0 looks and feels slick, and has been topped off with a fairly minimal Motorola skin — with some neat touches such as being able to swipe from the homescreen directly into a quick settings panel. Elsewhere the UI feels like pure, undiluted Android. … Android fans who appreciate the finer things in life (and need a new phone). Ideally their current ‘droid will be stuck on Gingerbread and/or a little lacking in the performance department. … there are countless Android phones on the market, with prices to suit pretty much every pocket, but the Razr i sets itself apart by doing things differently. It’s not a brash boaster of a phone with more cores than most folk have daily meals. It ignores the multicore arms race, and argues cogently that bigger does not equal better. 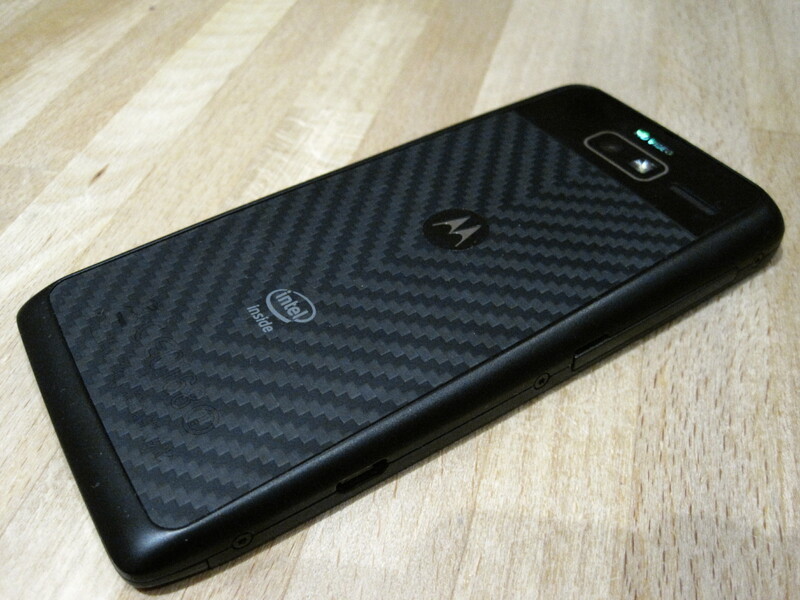 Yet under a modest and (for Motorola at least) minimalist form it’s still a bit of a beast. The intelligent design theme continues with a screen size that hits the usability sweet spot — neither too small to be pokey, nor too big to be a drag on your pockets. While the display makes clever use of a confined space, with only the thinnest of margins to detract from its 540 x 960 pixels. Buying a smartphone as a gift can feel like a bit of a chore — not to mention being expensive — but if the Android lover in your life has been making noises about needing a new phone, then the Razr i is a thoughtful choice they’re sure to appreciate. It’s not a budget option — there are certainly cheaper ‘droids up for grabs — so it’s worth checking out alternatives if your cash is looking stretched. For instance, there are plenty of more affordable ‘droids in Samsung’s Galaxy range of smartphones (such as the Galaxy S Advance). But for a holiday gift that has the slick screen, stylish looks and GHz to keep on giving long after the festive tinsel has been packed away, the Razr i is a solid choice.